There has been a real movement over the past few years (and to a lesser extent prior to this) towards the choice of steel when it comes to building new premises or expanding existing ones, for businesses everywhere. There are just so many advantages to choosing steel, from how easy and rapid steel-framed constructions are to install and how they can be partially dismantled to allow for extension, how little disturbance the work creates and how cost-effective they are in relation to other building types, that often the environmental benefits are overlooked. Of course, the environmental benefits can be intrinsically linked to the cost and time saving benefits. The less work that is needed to be carried out, makes for less of a carbon footprint with any given construction job. With the ease with which steel framed buildings can be dismantled and shifted to allow for extensions and changes of layout, this is a very green premise as it cuts down on the future need for bulky new materials. In addition, the fact that steel framed buildings are low maintenance will not only save you time and money, it will also save the environment from toxic cleaning agents and processes needed to prevent the likes of woodworm in other buildings. You see, the concepts of ease, cost-saving and being environmentally friendly are certainly not mutually exclusive. Let’s take a closer look at some of the greatest environmental benefits of steel buildings and how taking advantage of them can help boost your PR and image in the eyes of your customers past, present and future. 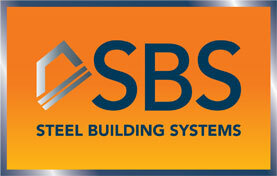 Steel buildings are undoubtedly the way forward from a cost-effective and environmental standpoint. Constructing buildings from steel generates little in the way of waste, because of the way construction is carried out. Before laying down a single steel beam all of the necessary materials can be ordered and manufactured according to very specific specifications. If you consider the amount of adjusting, on-site cutting and work that is required when building with wood or stone then this is a staggering environmental benefit as it cuts down on wastage, transportation and pollutants and general carbon footprint. The environmentally friendly nature of any job must also consider the future and steel frames are almost always completely recyclable. To give a statistic, in the UK 96% of steel construction parts are recycled. Steel is incredible really, in that it suffers little in the way of degradation and reuse and re-appropriation is always possible. Steel-framed structures also benefit from being much less heavy than other materials such as stone and concrete and even wood. This ensures that you don’t need such deep foundations, which again not only saves time and money but benefits the environment in many ways. When steel pile foundations are used, which they most often are, then they can even be removed and recycled should the building be dismantled. After you have made the wise choice to opt for a steel-framed building you will notice that the building is able to be practically hermetically sealed, noticeable around window frames and doors. This has a huge environmental (and cost) benefit associated with it, reducing by quite some amount the quantity of heat lost, especially during winter, while conversely allowing for better temperature regulation in hotter summer months. Without the need for heating and less need for fans and environmentally catastrophic air-conditioning, again the environmental benefits are huge. Steel buildings are also usually given a cool coat on the exterior, which also helps with heat conservation and cooling. The fact that the buildings benefit from greater reflection helps in the summer too, and helps in the fight against the ‘urban heat island’ effect. The latter is a result of traditional buildings storing heat up in the roof spaces, which at night goes back up into the air, impacting global warming. In what is a somewhat opposite set of circumstances, when it comes to steel buildings, heat is reflected back up during the day, giving night time temperatures some welcome respite. All of these factors pull together to make a very strong case for steel framed construction. So much so that there is great industry and government-wide support.